A Nootropic is a substance that is used to enhance cognitive functions, such as attention and memory. Commonly known as “smart drugs,” nootropics are usually described as non-toxic, non-addictive substances that generally cause minimal side effects. In order to achieve the same results, individuals sometimes use prescription medications, which are designed to treat sleep and psychological disorders in an off-label manner. There are a wide number of nootropics and prescription medications available on the market. 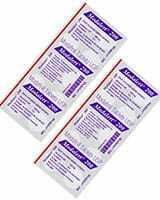 Two possible choices are the nootropic Piracetam or one of the prescription drug versions of Modafinil. Before making a decision between these two products, individuals should carefully consider their histories, effects on the brain chemistry and differences. The cognitive-enhancing properties of Piracetam were discovered in 1971. An extensive body of clinical research demonstrates that the substance also improves language skills as well as cognition and memory. Studies also support its use to slow the accelerated brain aging that occurs in people with Down syndrome. 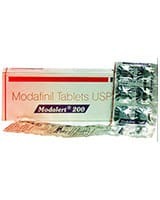 Originating in the 1970s, Modafinil is used to improve alertness and wakefulness in patients suffering from sleep disorders, such as narcolepsy, obstructive sleep apnea as well as shift work sleep disorder. It has also been shown to be an effective treatment for attention deficit hyperactivity disorder. 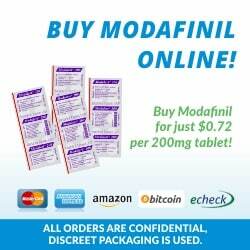 Modafinil is sometimes used off-label as a cognitive enhancement with or without a prescription. 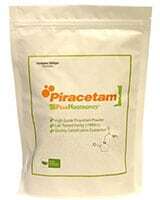 Like other members of the ractem family, Piracetam enhances cognitive functions by influencing the vascular, oxygenation and neuron functions of the brain. The result is increased blood flow, oxygen consumption and brain activity. Piracetam improves the function of acetylcholine, a brain chemical associated with memory and cognition. 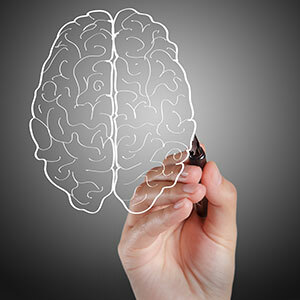 The neurotransmitter enables the brain to process information faster and accurately. In addition to increased brain cell permeability, the nootropic also has a positive effect on the NMDA receptors associated with learning and memory. 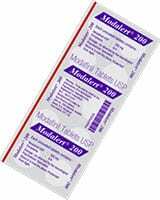 Modafinil is classified as a eugeroic, which means that the medication promotes alertness and reduces feelings of exhaustion. Like amphetamines, the drug stimulates neural activity in the brain, which is one of the reasons that some countries have decided to classify the substance as a prescription medication. 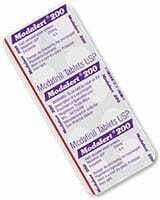 Modafinil promotes wakefulness by increasing the levels of histamine in the hypothalamus. It also elevates synaptic concentrations of dopamine by inhibiting the reuptake action of the membrane–spanning dopamine transporter protein. Dopamine plays an integral role in cognition and focus. While Modafinil has recently undergone studies by various military organizations as a method to maintain pilot alertness during prolonged flight operations, Piracetam has been studied and shown to be safe and effective for more than 40 years. In addition to dizziness, back pain, nausea and trouble sleeping, Modafinil has several potentially severe side effects, including allergic reactions, difficulty breathing and an irregular heart rate. The prescribing information also discloses that the risk of addiction and a fatal skin reaction known as Stevens-Johnson syndrome. Individuals taking Modafinil should avoid alcohol and be alert to the possibility of adverse interactions with other medications. Piracetam has very few side effects, which have been shown to be mild and well tolerated. These include anxiety, depression, insomnia and irritability as well as weight gain and an increased libido. Although the World Anti-Doping Agency lists Modafinil as a banned substance, there are no restrictions on the use of Piracetam. Individuals must also understand the legal implications of using Modafinil or Piracetam without a prescription. Piracetam is a safer alternative to Modafinil for individuals who want to enhance cognition. The substance has fewer potential side effects, is available without a prescription in most countries (unfortunately not in Australia) and can be used by athletes subject to drug testing. Originally posted on March 16, 2014, last updated on December 1, 2018. Hi im interested in getting a supply of your medicine. Please email me on the above address. You Do Not need a prescription for piracetam in Australia. It is easily purchased from reputable supplement stores online such as bulk nutrients. pramiracetam is the same as piracetam but more potent and is what I currently use. With it being more potent are the side effects for sever ?